﻿Search kits are an integral tool for fire departments performing large area search. We’ve revamped our offerings to include 3 options. The newest kit, the FDNY Search Kit, was built to the exacting specifications of FDNY. This large area search kit comes with conical distance indicators every 25 feet to indicate distance and direction to the exit. The 200 feet of rope is package in a sturdy vinyl bag with quick release shoulder strap and has a large snaphook sewn to the end for easy attachment to a stationary object. 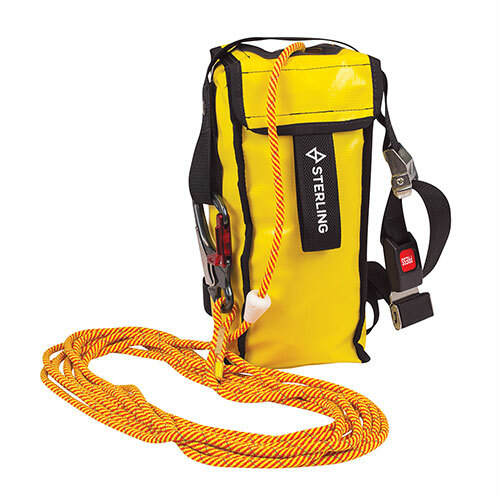 The RIT Response Kit and Sterling SearchLite Kit feature a messenger bag with 220 feet of rope and a large snaphook at one end. Rope options are the heat resistant 9 mm RIT Response rope or the 7.5 mm SearchLite with reflective tracers and a nylon/Technora core.